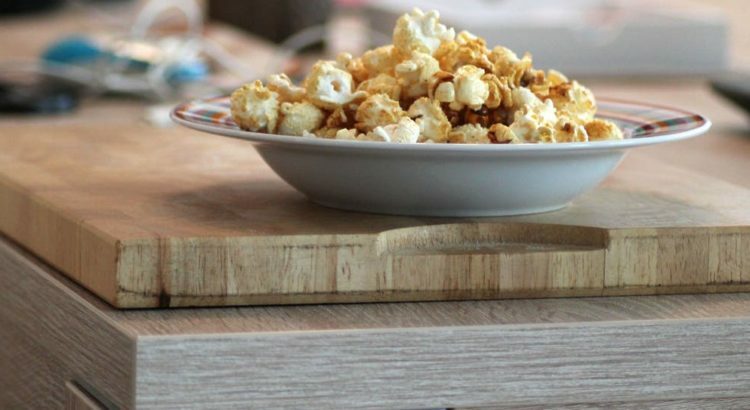 Popcorn can be an easy snack for when you’re watching a movie or enjoying a mid-afternoon snack – it’s quick and easy to prepare. 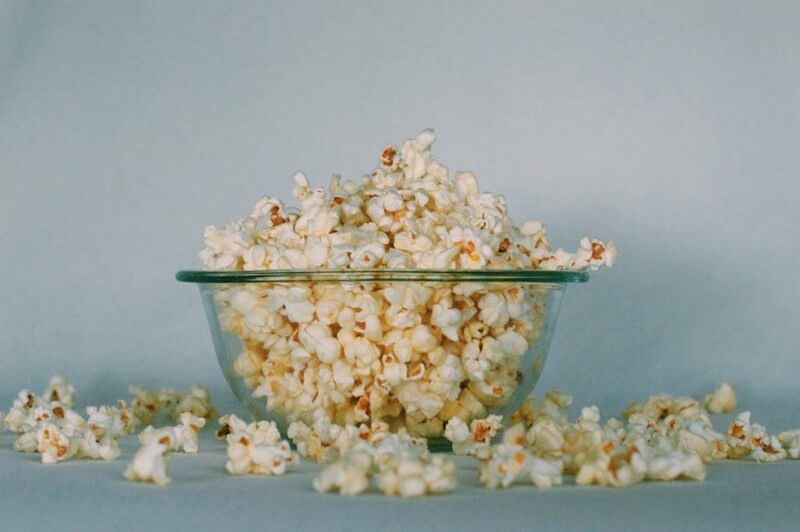 A 3 cup serving of air-popped popcorn has approximately 4 grams of fiber and approximately 100 calories. Try out one of these recipes for you next movie night. 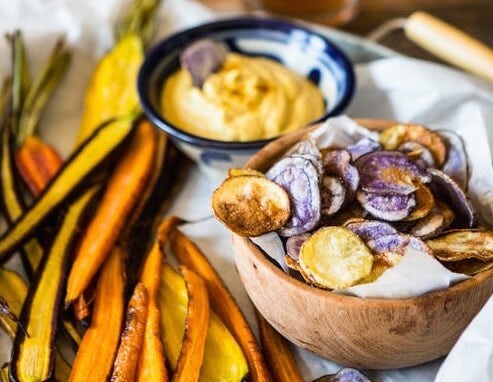 Picking 2-3 of your favorite raw vegetables chopped up in dippable size and serve them with any hummus of your choice is a great low calories, high fiber snack. Try out carrots and snap peas dipped with roasted bell pepper hummus. Pairing any fruit high in fiber with your favorite Justin’s Almond Butter flavor will make an easy and healthy snack for whenever you’re on the go or whenever you have a sweet tooth. 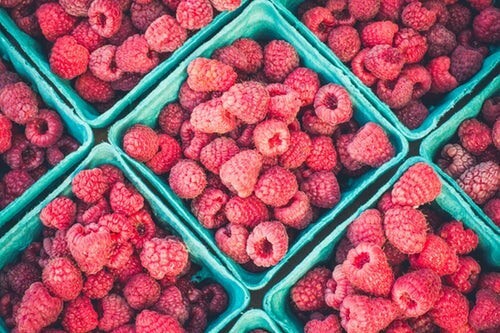 Pair any of these top 5 high fiber fruits: raspberries, apples (with the skin), bananas, oranges, and mangoes. Chia pudding is a guilt-free dessert you can enjoy. Not only are chia seeds a good source of fiber, but they are a good source of iron, omega-3 fatty acids, and antioxidants. 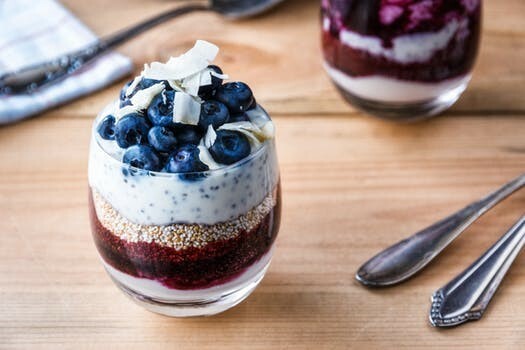 Enjoy a cup of chia pudding and try out these other gut healthy recipes. Chips and guacamole is a great snack to take to a potluck or a barbecue. 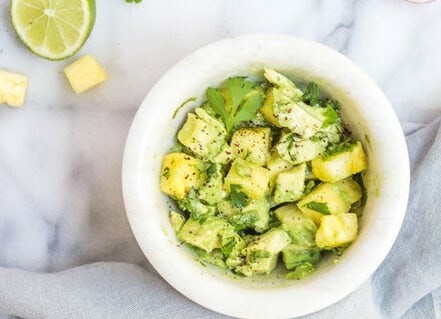 Avocado loaded with fiber, healthy fats, and potassium. Try out a simple guacamole made with avocado, lime, salt, and pepper and enjoy with baked 100% corn tortilla chips.